FAST DELIVERY! EXPERT INSTALLATION AVAILABLE! 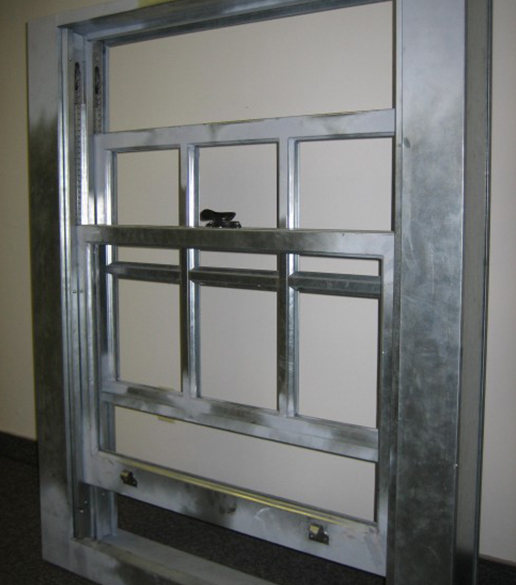 For conditions that require a fire-rated window, Capitol Fireproof Door manufactures a 45-minute BSA approved kalamein steel-clad lot-line window. Lot-line windows are primarily used as a fire barrier between two buildings that face each other. They are used in apartments, hallways, stairwells and roof bulkheads. Kalamein windows contain fires that may spread to adjoining buildings. Our lot-line windows utilize a fusible link, which when heated to a certain temperature, melts and drops the window sash to a closed position, which contains the fire. Top or bottom kalamein sash can be fabricated and retro-fitted into existing kalamein windows. This allows the sash to be replaced without having to replace the entire window. This fireproof label certifies that our windows meet or exceed fire test standards for New York City and have been approved by the NYC Department of Buildings. The labels, which indicate the “calendar number” corresponding to the NYC Department of Buildings testing results, are affixed to our windows as part of our service. ½ inch steel U-channel molding is fabricated with 20-gauge steel and is cut and nailed into the sash stiles. This can accommodate ¼ inch wire glass. 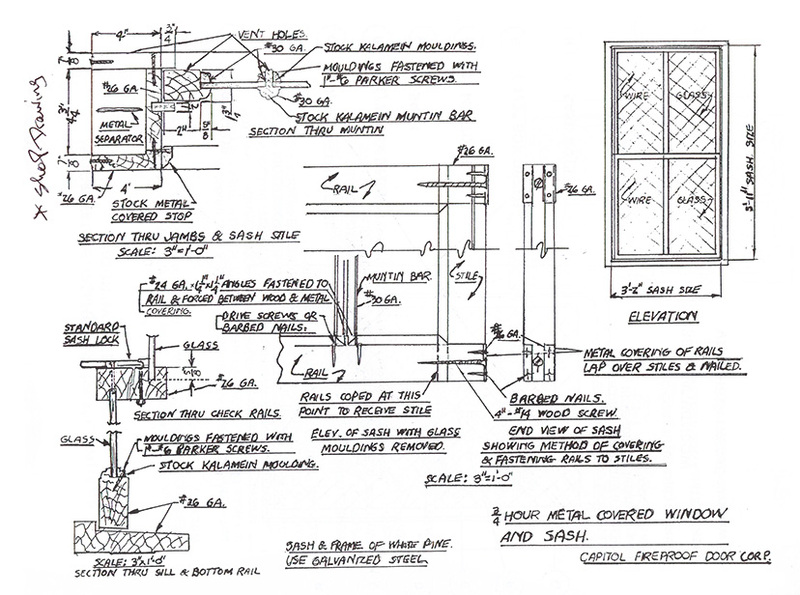 Custom kalamein window sash moldings are manufactured onsite using 24-gauge steel wrapped over solid pine. They are then drawn through steel dies, and are then mitered and nailed through the sash stiles into place. Kalamein glass molding can accommodate ¼ inch wire glass and up to 5/8 inch insulated glass. ½ inch square kalamein sash molding is also available. Capitol Fireproof Door has over 20 years of experience servicing and repairing Kalamein Fire-rated windows. Complete and comprehensive Kalamein-window installation includes window assembly, fusible links and hardware. Retro-fit Kalamein sash into existing Kalamein frames. Supply and install new Kalamein-window hardware.